The damaging and too-often deadly consequences of dowry-related abuse in Australia must urgently be tackled with new national laws identifying the “pernicious” cultural practice as a form of domestic violence, the final report of a Senate inquiry has recommended. The Senate Standing Committee on Legal and Constitutional Affairs has also recommended the Government make sweeping changes to Australia’s migration program, which it found is failing to protect vulnerable women on temporary visas and allowing dowry abuse to flourish unchecked. Over the past seven months the focused probe has heard shocking evidence of the alarming growth of dowry-related abuse in Australia which, as an ABC News investigation recently revealed, is resulting in violence, extortion and a spate of suicides and murders following a wave of migration from India and South Asia. As part of the cultural practice, a bride’s family typically pays the groom and his family a dowry of cash, gold, gifts and property at the time of marriage. However, it is common for grooms and their families to escalate demands for additional payments, often resulting in abuse, abandonment and even death when brides do not comply. Women who have migrated to Australia as part of arranged marriages and who have temporary migration status may also be threatened with deportation by their husbands, who have the ability to withdraw sponsorship of their wife’s visa if she does not deliver on demands for more dowry. But advocates told the inquiry that, unlike in the state of Victoria, which recently expanded its statutory definition of family violence to include dowry abuse, the practice is not explicitly named in the national definition of family violence. This has meant the issue has been overlooked in policy and legal frameworks and victims have been unable to access critical support. In its final report, the Senate committee made 12 recommendations, including that the Australian Government amend the Family Law Act to include dowry abuse as an example of economic abuse, as well as work with the states and territories to harmonise existing legislation for intervention orders to clearly recognise dowry abuse as a form of family violence. Crucially, the committee noted that the practice of dowry was “generally undesirable” in modern Australia because it risked “perpetuating a culture of ownership or control of women and runs against the cause of equality”. However, it found criminalising dowry itself would be “counter-productive” as it may have the unintended result of driving the the custom — and the abuse it can trigger — underground. Good Shepherd Australia and New Zealand, which argued in its submission that the national definition of family violence be expanded to include dowry abuse, said it welcomed the inquiry’s recommendations. “We support an integrated and holistic approach to addressing dowry abuse, and the recommendations in today’s report lay that foundation,” Good Shepherd chief executive officer Stella Avramopoulos said. Advocates have also welcomed recommendations to strengthen Australia’s migration program, which the inquiry found was failing protect victims of dowry-related abuse who hold temporary visas. The committee said it had heard shocking evidence that Australian citizenship was being used to command high dowries and that, in some cases, citizenship was effectively being “sold” for hundreds of thousands of dollars. It also heard from survivors — the majority of whom are women — who reported being threatened with deportation by their husbands if they did not comply with escalating demands for more dowry, and that action was rarely taken against abusive sponsors. “Currently the sponsor suffers no adverse consequences as a result of this behaviour, which raises the question of whether there should be penalties for the sponsor in these types of cases and what those penalties should be,” the Legal Services Commission of South Australia said in its submission. According to international anti-dowry campaigner Manjula O’Connor, it is common for women to find themselves “tricked” out of the country by abusive husbands. Dr O’Connor, who gave evidence at the first public hearing in Melbourne in September, has been assisting one woman who moved from India to Australia to get married, with her family paying her new husband a substantial dowry. But not long after the wedding, Dr O’Connor said, the man duped his wife into returning to India, at which point he withdrew his sponsorship of her visa, leaving her stranded and unable to return. “He is now planning to remarry in Sydney while she sits in India … he has also kept all of her professional documents and not returned a single bit of dowry,” Dr O’Connor said. Another problem, Dr O’Connor said, is that women who have migrated to Australia for arranged marriages are unable to access support and health care services, including Medicare and Centrelink, due to their temporary visa status. She said she had seen dozens of women in the past couple of years whose husbands had “abandoned” them in Melbourne and run off with their dowries, leaving them “homeless and penniless” and unable to access support. Among a suite of recommendations pertaining to Australia’s migration program, the inquiry urged the Commonwealth Government to consider several potential reforms, including that family violence protections in the Migration Regulations (1994) be extended beyond certain visa categories, that a temporary visa be made available for “at risk” visa holders who have suffered serious family violence including dowry abuse, and that the new family sponsorship framework be used to prevent known perpetrators from sponsoring multiple spouses. Other recommendations targeted the links between dowry abuse, slavery and forced marriage, and highlighted the need for training and education for police, the judiciary and frontline service providers in the broader community. “If fully implemented, the recommendations will have an immediate impact,” said Dr O’Connor, who later this month will convene the Second National Dowry Abuse Summit at the University of New South Wales. “It will change survivors’ lives dramatically. I have personally seen women suffer horribly as a result of their abuse … while their perpetrators have not suffered any consequences whatsoever,” she said. Labor MP Julian Hill, who helped establish the inquiry last June, said the final report had “comprehensively proven” that urgent action was needed. “This is a strong and welcome report and vindicates those who’ve campaigned for awareness and action for many years now,” Mr Hill told ABC News. 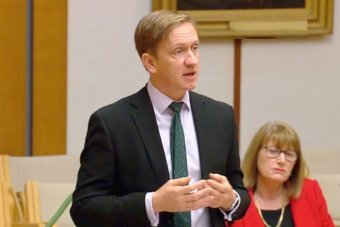 The extent of family violence being caused by dowry-related abuse had previously been “hidden”, said Mr Hill, who added he had personally been shocked to learn through the course of the inquiry of the “harms” it is has caused, including in his electorate. But, he said, “Australia can and must do better at protecting women who have suffered family violence and serious dowry abuse.